My Southern Illinois School Tour! 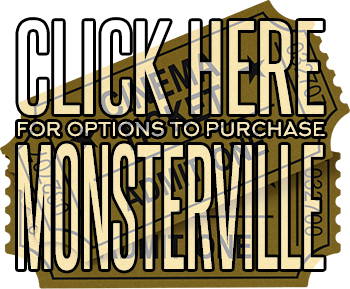 To promote my debut middle grade novel, MONSTERVILLE: A LISSA BLACK PRODUCTION, I wanted to return to my roots in southern Illinois. 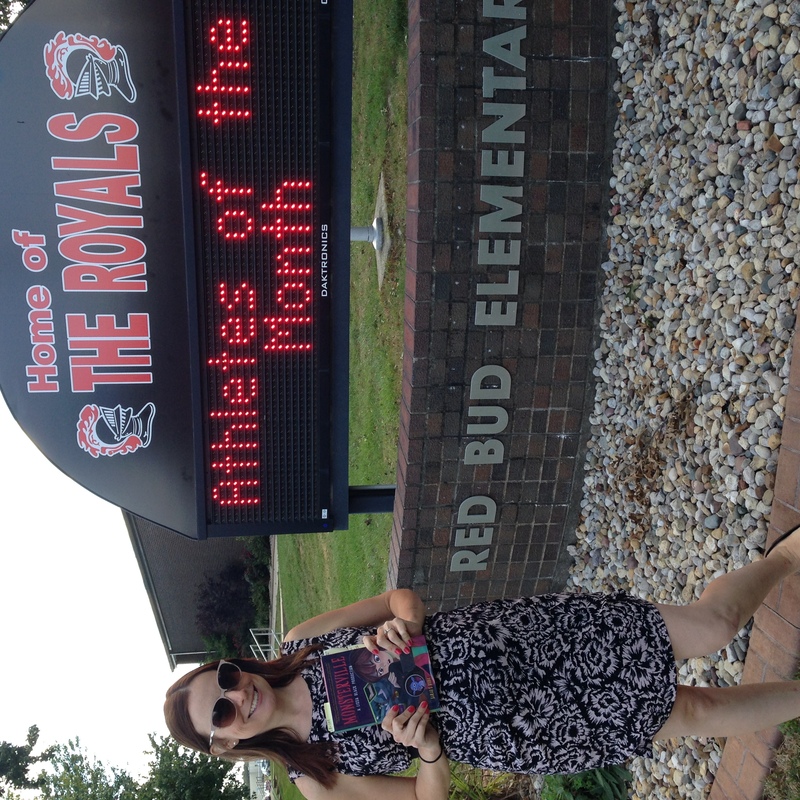 After all, I wrote my book with my hometown (and a few others) in mind, and it was in my hometown of Millstadt where the wonderful teachers of Millstadt Consolidated School first encouraged me to be a writer. 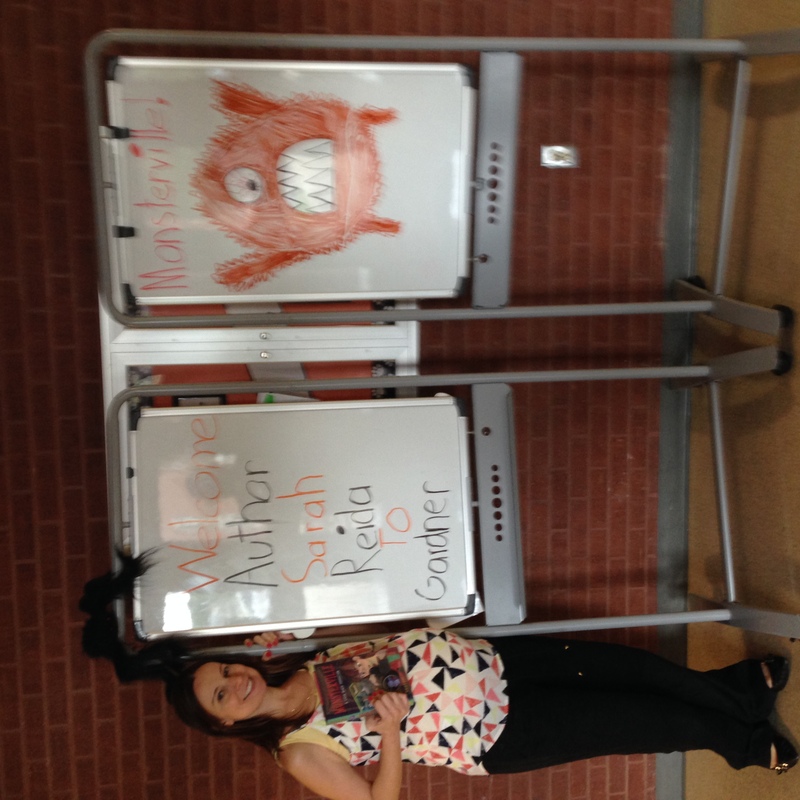 I wanted to come back to southern Illinois and make kids excited not just about my book, but about writing! (To that end, I used this presentation). 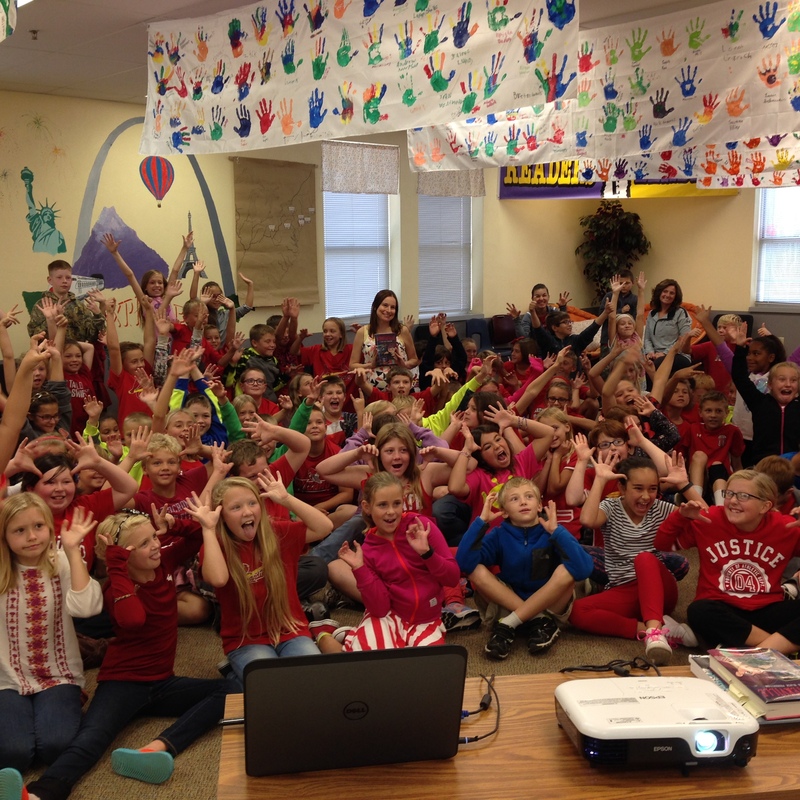 First, I visited Red Bud Elementary for two days and spoke with the fourth, fifth, sixth and seventh graders. 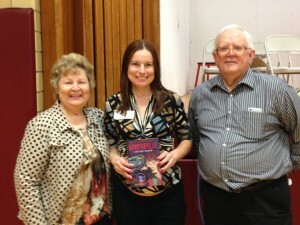 Superintendent Jonathan Tallman and library specialist Pam Seals went out of their way to make me feel welcome. 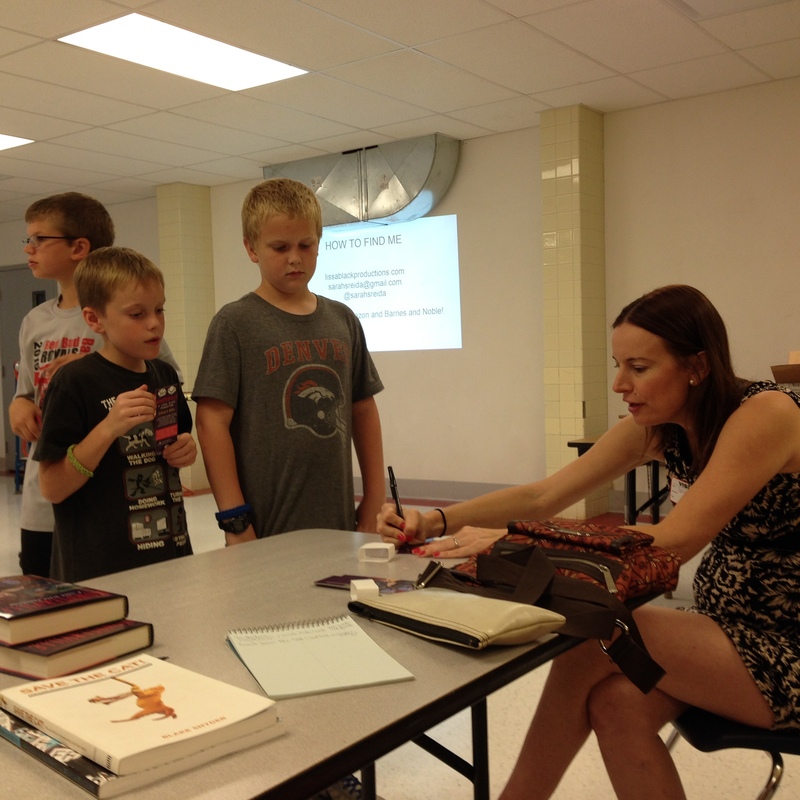 Here I am signing bookmarks for students, with a copy of SAVE THE CAT (one of the best writing books out there) to my left. 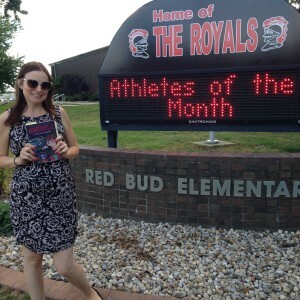 And here I am in front of Red Bud Elementary’s marquee. (Keep in mind that when I began this tour, I was only a little more than seventh months pregnant. You may notice some changes as you read along. . .). 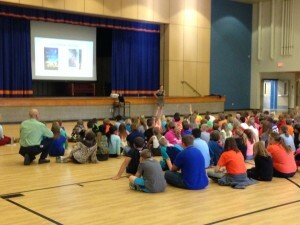 Then, at Gardner Elementary in Waterloo, where I spoke to the fourth and fifth grades, Principal Dawn Ivers and Media Specialist Dave Ackerman were beyond on the ball in organizing my event! 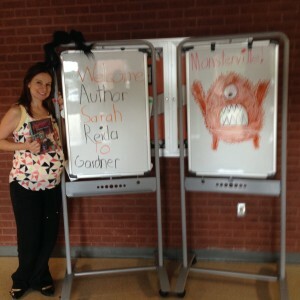 Check out what greeted me right at the school entrance. 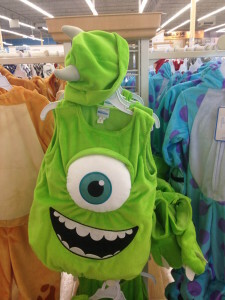 It bears a bit of a resemblance to this outfit I’m considering buying for my baby on the way, don’t you think? 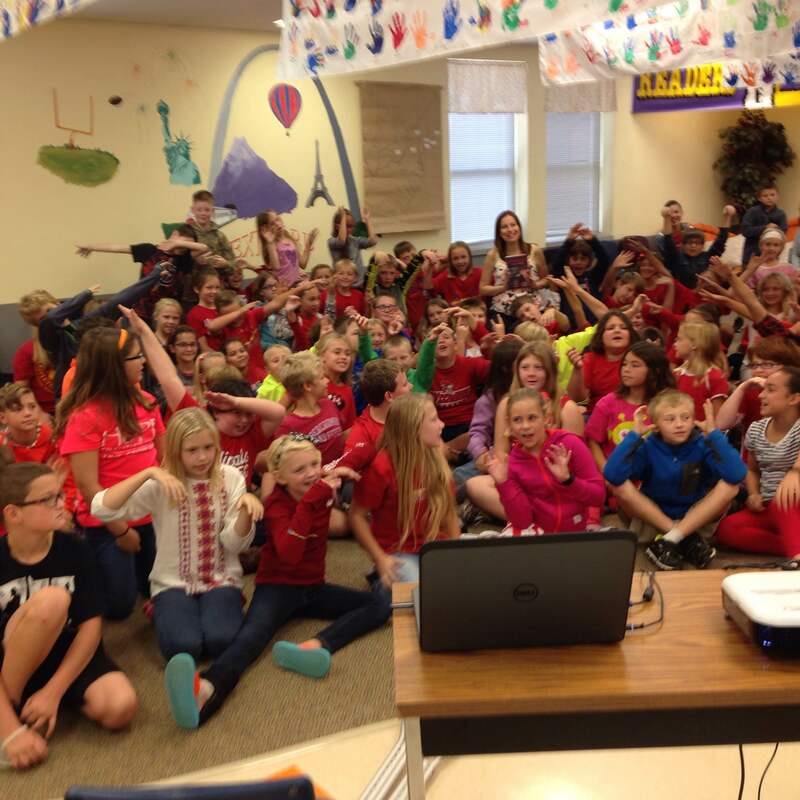 The kids in Waterloo were all so enthusiastic, well-behaved, and full of questions about reading. Hooray! 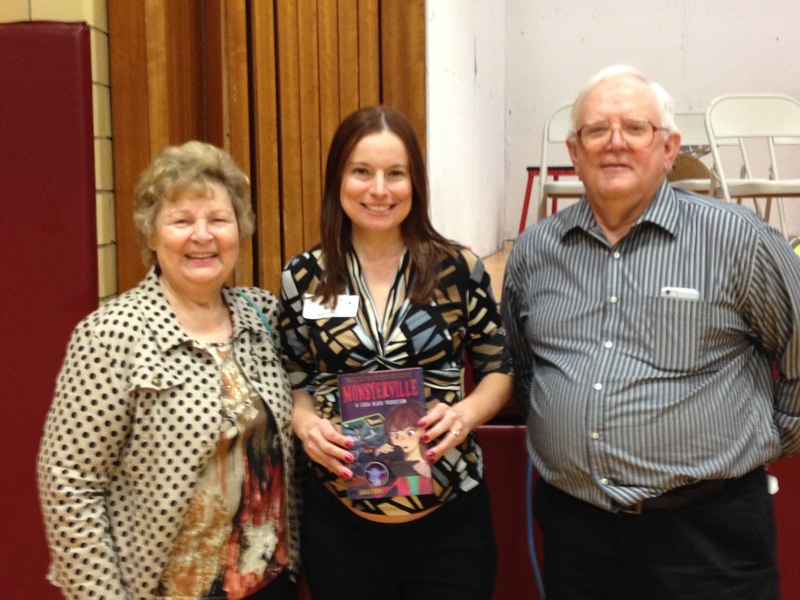 Then I went to Millstadt Consolidated School, where my love of reading and writing all began. The teachers here are two of the most wonderful, kindest teachers a child could encounter: Mrs. Martha Story and Mr. Kenneth Kinsella. Both are noted in the Acknowledgments of my book, and I was so touched they came to my assembly for fifth through eighth grades. . .
. . .And that they saw this: the students gave me a standing ovation. 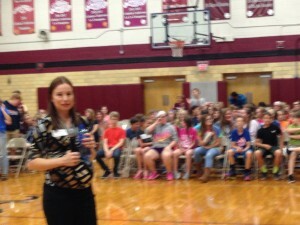 (This picture is blurry, but it’s the only one I have that shows them all beginning to stand). THEN, Dan Kramer, a friend of mine from grade school who now teaches Art at the Okawville Junior/Senior (K12) High School, found me on Facebook and asked if I could come speak there. 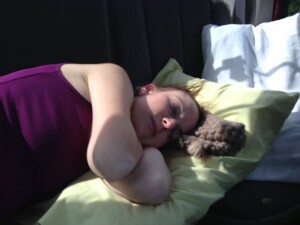 I was leaving to drive back home to Atlanta the next day, but clearly a pit stop was warranted! 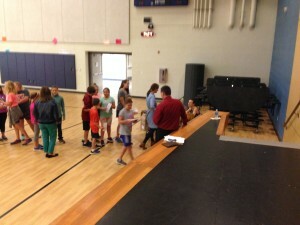 Dan and the Junior/Senior High School principal, Keith Senior, did a wonderful job setting up the event with (way) less than 24 hours of notice! And here is the book signing they arranged! After all of that – four schools and twelve presentations in less than a week, I am exhausted. However, I am so grateful to Red Bud Elementary, Gardner Elementary, Millstadt Consolidated School, and Okawville Junior/Senior High School for making me feel so welcome and for letting me share my love of reading and writing with such wonderful children. Thank you!